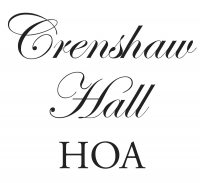 Welcome to PPM NABR: the official communication tool of Professional Properties Management (PPM) and Crenshaw Hall Plantation Homeowners Association. Crenshaw Hall Plantation is a tight-knit subdivision of single-family homes in Wake Forest, North Carolina. The Homeowners Association takes great pride in the community’s manicured common areas which include landscaped entrances, a large park with a gazebo, playground, and tennis court. The community pool and clubhouse are open to residents and their guests from May to September. Residents enjoy many social activities such as pool parties, holiday celebrations, and an annual 5K race throughout the year. The neighborhood is conveniently located near shopping centers, highways, and Wake Forest’s unique historic downtown business district.